Opti-Men is one of the better multis on the market today. It has your standard blend of essential vitamins and minerals, and has a blend of aminos, ingredients to improve virility, digestive enzymes, and over 20 antioxidant-rich fruit and vegetable concentrates to help combat free radicals. 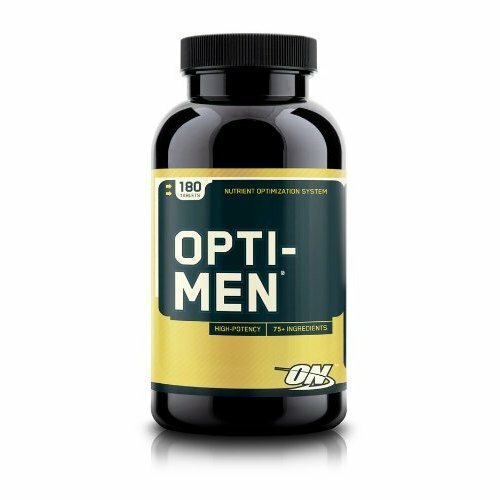 Opti-Men is also very affordable. You get 180 pills for $20, and the recommended dosage is 3 pills per day. Great value here.